The infectious-disease crisis that hit an Indiana county under then-governor Mike Pence has begun to play out across the country in the Trump administration. LGBTQ communities are at risk as opioid injections are prompting outbreaks of hepatitis B, hepatitis C and HIV in 30 states, the Centers for Disease Control reports. Health groups are calling on Congress to invest $100 million in the community-health programs on the front lines. The epidemic resulted in 63,600 deaths in 2016. That’s more than 1,000 deaths per week, and nearly double the more than 33,000 deaths in 2015, according to the CDC’s National Center for Health Statistics. In particular, deaths from synthetic opioids doubled from 2015 to 2016. One of the sharpest increases in new Hep C cases is among 18- to 29-year-olds — up a staggering 400 percent over 10 years — according to a new CDC study. Three national groups — the National Alliance of State and Territorial AIDS Directors, the Harm Reduction Coalition, and the AIDS Institute — are calling on Congress to fund local programs through the Centers for Disease Control. 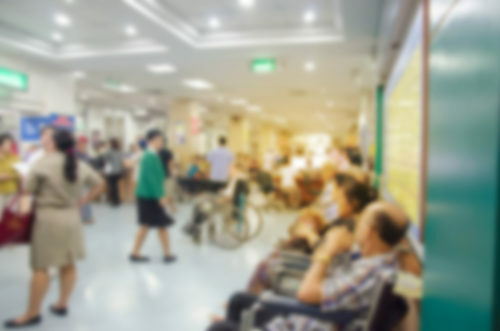 “Resource-strapped health departments are struggling to get ahead of a new wave of infections,” said Ann Lefert, NASTAD’s senior director of policy and legislative affairs. The funding could improve testing, prevention services, education and training, as well as access to sterile injection equipment. NASTAD specifically cites the rapid HIV and Hep C outbreak in south-central Indiana’s Scott County in 2014-15. Then Indiana governor Mike Pence first delayed needle-exchange programs as diseases spread rapidly among injection-drug users. Ironically, he then turned to Obamacare to get residents treatment through Medicaid. Some states have responded with legislation and programs, but federal resources have lagged behind, according to NASTAD. Now health departments in northern Kentucky and Massachusetts are among those sounding alarms on increased HIV transmissions. The AIDS Institute reports that the explosion of opioid use has increased infections of Hep C, Hep B and HIV among new groups. The epidemic is undoing progress in curbing transmissions. “The nation’s infectious disease public-health infrastructure is an underutilized resource in our collective response to the opioid epidemic,” the institute said. President Trump declared a public emergency in October, but USA Today criticizes the administration’s lack of progress. Huge chunks of current funding were passed before Trump took office, and new funding and initiatives have not materialized. The Office of National Drug Control Policy has no director. Trump appointed pollster Kellyanne Conway as opioids czar in November before firing the entire Presidential Advisory Council on HIV/AIDS in December.